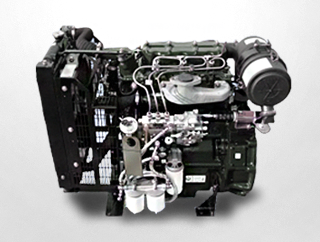 Genset engines are an absolute requirement in farming and agriculture. To be able to operate water pumps in vast fields, you definitely need a powerful, reliable generator engine that can ensure that your work is not interrupted at any time of the day. Indo Farm’s genset engines are certified by CPCB ARAI, which is an apex body attesting to the quality of a wide range of automotive products like vehicles, safety components, gensets, agricultural & construction equipment, and of course engines. This means that you get the best promise of quality standards when you choose our engines. WE use only imported head gasket and valve stem seals, chromium plated top ring of piston, graphite-coated skirt of piston and Donaldson dry air cleaner for maximum safety and best-in-the-class performance and great fuel-efficiency and quick starting. Even at 35° C temperature, there occurs no duration as these engines are built to face extreme weather conditions without hampering its efficiency. Among our five models, namely, IF 1832 (18 KW), IF 2432 (24KW), IF 2833 (27.5 KW), IF 3343 (34 KW) and IF 4543T (45 KW), you can choose the one you deem best for your requirements, and you will be proud to be a part of Indo Farm family.